Water may be one of the basics components of life, but it’s also a destructive force. 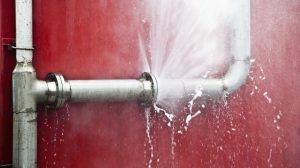 When parts of your house are exposed to water from flooding and plumbing accidents, the damage goes much deeper than simply making surfaces wet. Water seeps into everything and cannot be easily removed. Over time, water damage will worsen, destroying drywall, creating wood rot, structurally weakening supporting beams, destroying wiring and HVAC systems, and creating dangerous black mold. Remediating water damage is a specialized service requiring professionals. You can reach us for water damage restoration in Ontario, CA or elsewhere in Southern California. Below are a few important things to consider when you have water damage. One of the many services we offer to our customers is one you won’t find with every plumber in Fullerton, CA—and that’s water damage restoration. When a home or commercial building suffers from water damage due to plumbing accidents or weather conditions, it isn’t something that can be patched up as a DIY job or with an amateur contractor. Water damage restoration is a complex process, and it can even be hazardous when dealing with getting rid of bacteria from sewage water—or when dealing with black mold, one of the biggest worries that comes with water damage in a home. An important service we offer our customers throughout Southern California—one you won’t find with every plumbing contractor—is water damage restoration. Both weather and plumbing disasters can create extensive water damage in a home or business. Cleaning up the mess isn’t as simple as using a mop. Water seeps into surfaces and through the tiniest cracks and openings, making eliminating it and preventing future problems difficult. Difficult, that is, unless you go straight to water damage restorationists. Water Damage Restoration: What Can I Do On My Own? One of the important services we provide in Southern California is water damage restoration. We provide this vital service for both homes and businesses. We do testing, disinfecting, personal belonging recovery, and temporary power. We’ll even work directly with your insurance company to remove as much stress from you as possible—you already have enough stress as it is when you’re dealing with large amounts of water damage on your property. 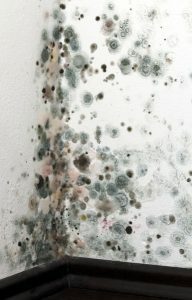 Posted in Water Damage Remediation | Comments Off on Water Damage Restoration: What Can I Do On My Own? My Bathroom Has Flooded! What Do I Do? No matter how many precautions we take in our homes, we can’t stop all accidents from occurring. And few household accidents are more alarming than when a pipe or valve breaks in the bathroom, causing water to flood into the room. It’s alarming, and the damage from it is extensive and difficult to repair. When you see flooding in your bathroom, you’ll probably be petrified for a moment and wonder what to do. And then… well, do you know what to do? We’re here to help with plumbing repairs in Riverside, CA. Here’s some fast advice, followed by some long-term solutions. Posted in Plumbing | Comments Off on My Bathroom Has Flooded! What Do I Do? Water damage is one of the most difficult types of damage to fix when it occurs in a home. The problem is that the water goes everywhere. It flows down into cracks, it seeps deep into building material, and it can hide from the most strenuous clean-up efforts. This is the reason that water damage must have professional water damage remediation services. If your home has recently suffered a plumbing accident that has cause flooding, contact our water damage remediation specialists. We do an extensive job and will also work with your insurance company to make everything run smoother. Very few plumbing emergencies trigger such immediate responses of panic than an overflowing toilet. And unfortunately, it’s one of the more common household plumbing problems. However, it doesn’t have to ruin your bathroom: there are steps you can take to stop it—and to clean it up afterwards. Let’s go through some steps for what to do the next time this happens in your house.